To illustrate this series of recipes, you need first to create the schema for London_Tube and import the data. Please notice the usage of both("connectedTo"). Indeed the direction of the connection between 2 stations does not matter but since Gremlin is a directed graph we need to use both(). The step union(identity(), both("connectedTo")) will output the original station South Kensington along side with its neighbours. repeat(timeLimit(200).both("connectedTo"). // Expand the graph on edge "connectedTo"
has("line",Search.tokenPrefix("Piccadilly"))). // Only retain stations connected by "Piccadilly"
has("name", "Covent Garden"). // Only retain target station "Covent Garden"
We purposely put emit() before the repeat() step so that the original South Kensington station is emitted alongside with all other stations on the journey. For the repeat() step, instead of putting a limit in term of number of times we traverse the connectedTo edge with the step times(x), we rather set a time limit to avoid graph explosion with timeLimit(200). Finally we filter the target station to match Covent Garden with the step has("name", "Covent Garden"). If we were to stop our traversal at this step, there will be a single displayed station, which is Covent Garden. What we want is different: all the stations of the journey from South Kensington to Covent Garden and here path() step comes in handy. Since we only visit vertices on our traversal, the step path is of type Iterator<Iterator<Vertex>>, the outer Iterator represents the Traversal object itself. To access the inner Iterator<Vertex> we need to use the unfold() operator. Let’s analyse the above traversal. First repeat(both("connectedTo").simplePath().timeLimit(400)) represent graph expansion in all directions from South Kensington but time-limited to 400ms. 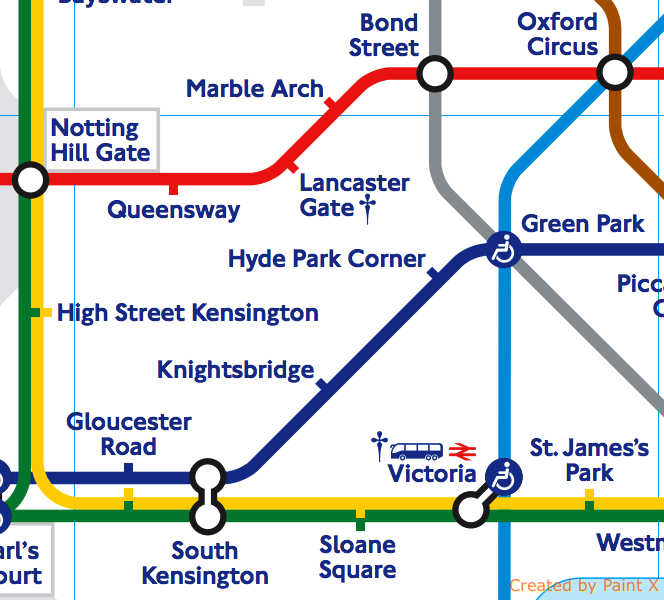 has("name", "Marble Arch") will filter all emitted stations to take only those who are Marble Arch. At this stage we have have multiple journeys leading to the same destination. Now the fun begin with the path object. order().by(path().count(local), incr) will order each found journey by the number of “object” found in the path history. The trick here is that path() represents a collection of path history e.g. Iterator<Iterator<Station>> and we want to sort them by the station count, thus count(local). Taking the 1st matching path will guarantee us the journey with the minimum station count. What if we want to minimize the number of line changes instead ? Path again! Minimizing the number of line changes is equivalent to order all the journeys by the number of distinct line values of the “connectedTo” edge in each path and then take the minimum. repeat(bothE("connectedTo").otherV().simplePath()). // instead of both("connectedTo"), we do bothE("...").otherV() to collect edges on the path and save it as "paths"
path().unfold(). // Iterator<Object> where Object == Station & Edge "connectedTo"
hasLabel("connectedTo"). // only take edges "connectedTo"
The beginning of the traversal is quite similar but now instead of doing both("connectedTo") we did bothE("connectedTo").otherV(). Semantically it is equivalent but the subtle difference is that now we are visiting also all “connectedTo” edges in our traversal, not only station vertices, and it is done on purpose. 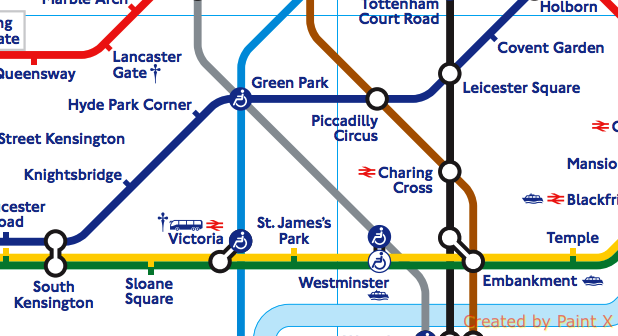 Instead of using timeLimit(400) we can also use the until(has("name", "Marble Arch").or().loops().is(eq(6))) step to stop graph expansion whenever we find Marble Arch or whenever we exceed 6 hops from South Kensington. Now the ordering step is important. We unfold the path object, which now becomes an Iterator of Station vertices and “connectedTo” edges. We want to select only “connectedTo” edges thus hasLabel("connectedTo"). Then we extract the “line” property, deduplicate them and count them. The ordering will be done on this distinct lines count, ASCENDING. The traversal ends with a path().unfold() to display nicely the journey, with an additional filtering hasLabel("station") to remove all the “connectedTo” edges from the path.